Funeral services will be held Friday for a Murrieta Mesa High School alumnus who died in a traffic accident May 8. Joseph Castro Jr., 19, was listed as a resident of Las Vegas in the Coroner's report regarding the single-vehicle accident on Railroad Canyon Road in Lake Elsinore. 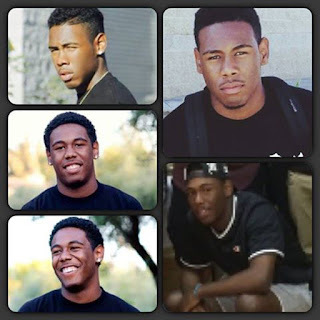 However, friends and family remember Castro as a 2015 graduate of Murrieta Mesa who was popular because of his positive nature. The funeral will be held Friday at 10 a.m. at The Bridge Church, 38801 Calistoga Drive in Murrieta. "Joe was a source of happiness for everyone around him," said Robert Bokma, his soccer coach at Murrieta Mesa. "He would show up and his smile would light up others, as it was very contagious. He was not a person to put himself first but more to be part of a team. "His positive attitude made me realize that I am lucky to know him. I remember the times that we would be talking and we would just laugh and laugh. The Joe I knew was just a great person who liked to be happy and make others feel good about themselves. I am proud and honored to say that he was part of my life. Joe is and will always be part of the Mesa High School Boys Soccer family." Condolences and messages of support may be left on this website set up by the Murrieta Valley Funeral Home. Photos courtesy of Murrieta Valley Unified School District Facebook page.